The perfect mat for a hot yoga session – or any other yoga session really. 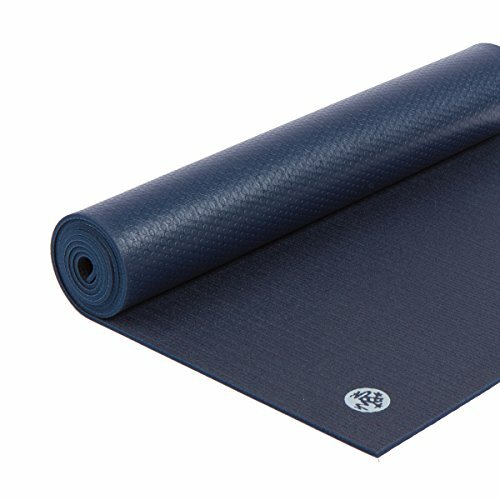 Ever tried to endure a hot yoga sessions with a cheap yoga mat? For me, a fantastic yoga mat is a must. **Below, you’ll find our hand-tested reviews, but you can also click the links above to see current prices or read customer reviews on Amazon. I once purchased some flat, bland no-name yoga mat from Walmart. All I can say is, my vinyasa class was a slip-sliding nightmare. For me, searching for the best yoga mat for sweaty hands became somewhat of a priority as I began to take my yoga practice more seriously. Slipping and sliding around on your mat isn’t just annoying and distracting, but it can also be dangerous… as I have found out the hard way (yikes!). So, I have began my journey for more high-end yoga mats that are best for, well, handling sweat! All the mats I will be sharing with you are mats that I use in rotation for my own classes. There are different features each mat has that I think are REALLY cool; which is why I am recommending more than one. Weight – is the mat to heavy to lug around? 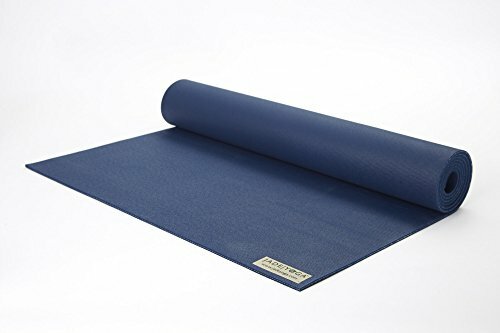 Getting into a bit more detail, I will now list 5 of my favorite yoga mats — each providing most of the essential features I look at when it comes to choosing the best yoga mat for handling sweat! 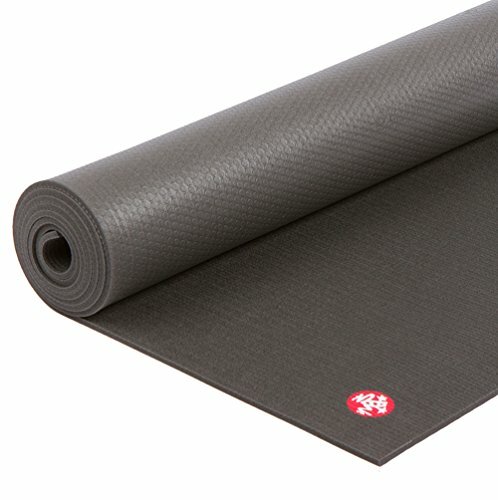 I loved this 5mm mat by Lululemon – sooo comfortable and cushy on the joints! It retails for around $70, is made from natural rubber, and is very cushiony. With this mat, I noticed it helps keep odor at bay (probably because they are made with an anti-microbial additive that helps to prevent mildew and mold). This is also available in a lighter weight mat (3mm), but I personally do not find the 5mm Lululemon to be too thick. It provides ample comfort and cushion. Since this mat had a lot of hype about being the best mat for people who sweat frequently (me – someone who does hot yoga daily), I decided this would be the perfect fit. During my asana session, this mat was amazing. One notable problem with this mat is that when I first purchased it, I noticed a very pugnet rubber smell. I then noticed that it took a few weeks until that rubber smell faded away. But hey – I would much rather smell rubber than sweat! If the rubber smell really bothers you, however, Lululemon has recommended that you wash your mat with baking soda and water. I have noticed that this made a huge difference in the rubbery stench. Many users of this mat have noted that you must not use soap or detergent to wash this mat. If you do, it is near impossible to rinse the soap out (likely because of the absorbency of the mat). One of my friends claimed that after she had used a dollop of laundry detergent to wash her mat, she left the mat in the hot shower for 40 minutes and the detergent still did not fully rinse out. 9 different color combination designs to choose from (each one is reversible) so there’s something for everyone. Lululemon is famous for providing soft, luxurious-feeling athletic wear (yoga mats included). Natural rubber gives off a slight smell when first purchased, but don’t worry – the smell fades over time or can be softly scrubbed away with water and baking soda. One thing that you might notice about sweating during the yoga session is that your mat can stink up a storm! This is because yoga mats are exposed to an exorbitant amount of bacteria. The Gaiam Sol Dry-Grip yoga mat, one of my favorites, was created using this technology with a moisture-repellant material that allows the mat to stay dry, and increase in grip as the temperatures soar. Yoga mats that use this technology, give you a slip free surface that is more secure than the average yoga mat. 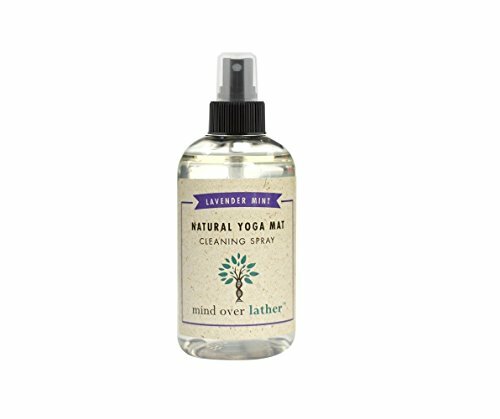 This is perfect for yoga practitioners who sweat a lot or practice hot yoga. This is actually my preferred mat for taking to hotter, sweatier yoga sessions. The topcoat of the mat was created to wick moisture away, and the grip increases as the temperatures get warmer. This type of technology was also created from a closed cell material which keeps away germs, bacteria and odors. If you’re a germaphobe, like me, this mat already seems like a dream come true. I personally still like to keep my mat as clean as possible. Gaiam makes a special mat cleaning spray ; however you can always wipe down your mat with a damp rag. Sometimes I’ll sprinkle a dash of baking soda on the mat before wiping it down. Some people may prefer to scrub their mat more vigorously with a sea salt scrub or wipe down with water mixed with distilled white vinegar. How you clean your mat is entirely up to you (although here is some great advice how to do it best) – provided that your specific mat does not come with a set of cleaning instructions. Though, I found that the Gaiam Sol Dry-Grip yoga mat doesn’t absorb sweat odors, and also doesn’t smell like rubber upon purchasing it brand new. In comparison to the ever comfortable Lululemon Athletica’s “The Mat”, which retails for $70, I have discovered this mat to be a close contender. This mat also seems to feel a little softer than Lululemon’s. The Sol Dry-Grip is 7 inches longer than Lululemon’s mat, or any other standard yoga mat. The higher-than-average price tag, retailing for around $70. Gaiam’s mats are a bit narrower than I’m used to. I generally look at grip first when I choose a new yoga mat. I like to go for a more sticky texture so that my hands do not slip, but I also don’t like the texture that is so grippy that it makes it difficult to glide. I like having mobility as well as stability. Jade's Harmony Professional is Jade's most popular mat. At 3/16", it provides a perfect balance of comfort and stability. I do not like feeling stuck to the mat. Last time I had to slide from downward dog flat onto my face, it was impossible with my no-name grip mat from Walmart. I think I even got some type of “rug burn” on my arms and legs using a crappy mat like that. When I first tried the jade mat (it was one of the first more professional mats I tried), I was quite happy with my new-found gliding ability. If you don’t like slipping around on your mat and you like to be able to keep your balance, more traction/grip might be important to you. I’ve learned that PVC or natural rubber typically provides the best traction, while still allowing you to glide and remain agile. Your mat should be cushiony, resilient and also provide an optimal grip. 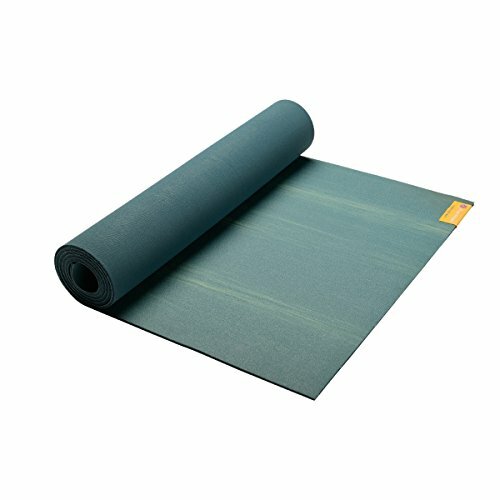 For this reason, I really like the Jade Yoga Harmony Professional Yoga Mat because it is made from a natural rubber which provides a cushiony feel and optimal grip. This makes the mat perfect for a hot yoga session. Another thing that I love about Jade, is that the mats are not made with PVC or any type of ozone-depleting substance. Because of the open-cell rubber (which absorbs perspiration and oils) that the Jade mat is made with, it can absorb odors. All that I do to combat this is either wash the mat with sea salt or a very mild, natural soap to keep the mat from fading and hang outdoors to dry. In addition, Jade promises that they will plant a tree for each mat they sell in a partnership they have with Trees for the Future. Since I love nature – I am still happy that my purchase of this made supported a great cause. The Jade mat provides me with minimal slippage during a typical one-hour hot Vinyasa session. Another one of my favorite yoga mats (for the environmental and slip-free factors) is the Manduka PROlite. I love how slip resistant this mat is and how it provides me with the perfect amount of padding. The Manduka PROlite is “zero waste” mat as its manufactured using an emissions-free procedure. Additionally, this mat also comes with a lifetime guarantee – a definite added bonus. Who wants to buy a new mat every year?? The Manduka mat seems to absorb sweat quite profusely, even though it’s manufactured with closed-cell technology. I have noticed in lighter colors of this mat, it gathers sweat stains. The manufacturer has suggested scrubbing the mat with sea salt and then hanging outside to dry. I have noticed that this has helped to alleviate a lot of that nasty sweat odor, but of course is very time consuming. I noticed that my mat was frequently tied-up with these sea-salt treatments, so I had to head out to my class with another mat since this one wasn’t yet dry. Many yoga practitioners are busy and don’t have the time to hand wash their mat and hang dry daily. 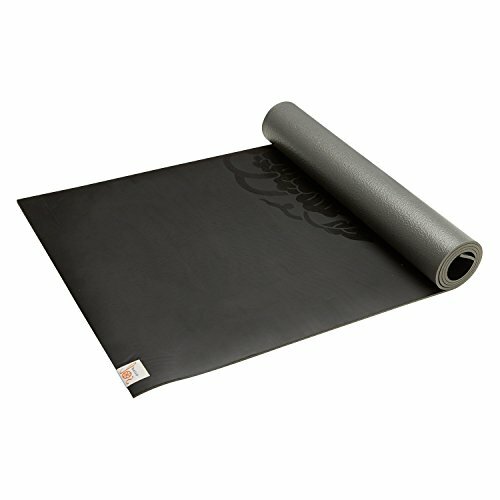 Like the other mats mentioned above, the Hugger Mugger Para Rubber Yoga Mat is yet another contender as it is also made with natural rubber, and contains extra padding. This mat is about 2 inches longer than the Jade mat and is slightly softer to the touch than the other mats. This may be a pro or a con to different people, but this mat is 33% heavier and 33% thicker than the Jade mat. Who would’ve thought that there were so many features available when choosing a yoga mat? Reflecting back on my Walmart yoga-shopping days, I certainly didn’t. I thought a yoga mat was a yoga mat! Like, come on! But in all seriousness, comparing the most popular mats with the features you are looking for is one of the best ways to ensure you are happy with your buy. My personal favorite, the Gaiam Sol Dry-Grip mat , has proved to withstand sweaty hands with the most minimal slipping and odor (while still providing optimal comfort). I might be a bit biased here because I happen to love the sleek black design — a definite bonus. Thanks so much for this very informative post! You should check out Yoloha Cork mats…. awesome anti-slip! I bought the Gaiam Sol mat a few months ago and used it in my Bikram yoga classes. Unfortunately, the top layer started to peel off – maybe it’s not dense enough to sustain the high temperature. Recently I bought the Fit Fit Hooray All-You-Need yoga mat and I’m in love with it!!! It’s absolutely the best mat I’ve had! Super gripping, amazing top layer that wicks the sweat and gorgeous design. I highly recommend it. I bought mine from Amazon but I think this company has a website as well. Thank you! this helped me get more familiar with prices for proper yogam ats. i bought a few , as i’m extra heavy and needed extra cushion AND grip. looks like lululemon is going to be my investment! Hi! I’ m still a bit confused, since the Manduka Pro mat is on your list, however my hands slip away a lot on this way. Which one would you recommend the most in case of really slippery hands and feet?